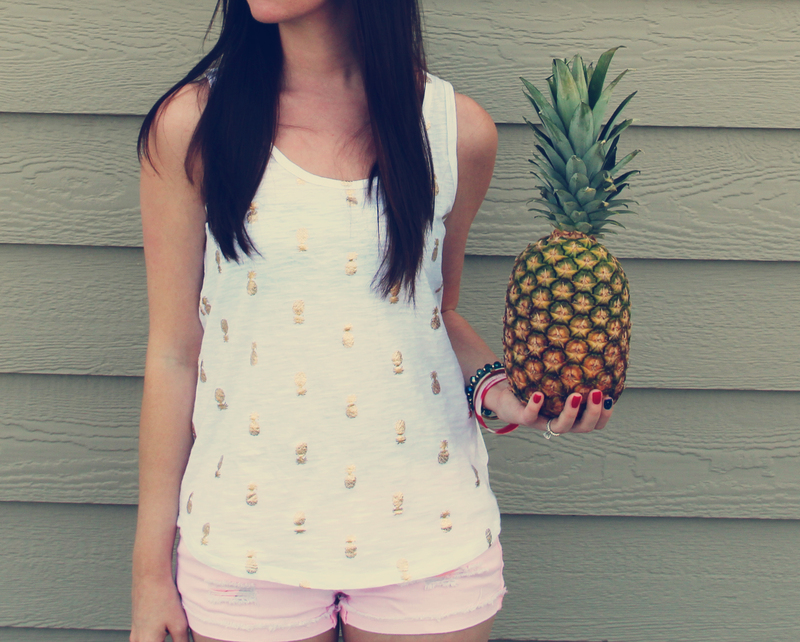 Guys, I have a thing for pineapples. Have you been on Pinterest lately though? It’s clear I’m not the only one. 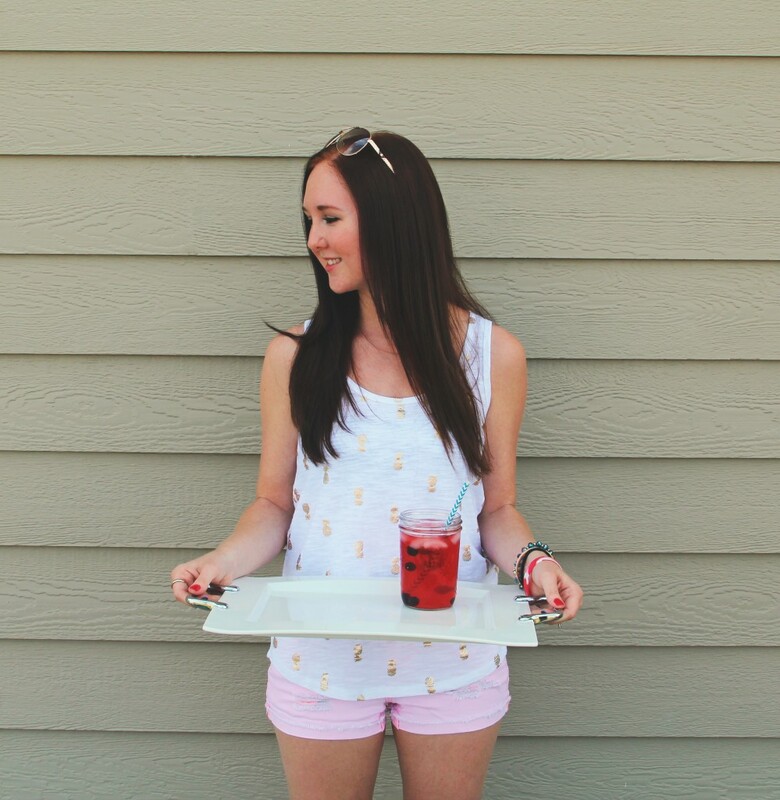 I think I’ll always have a soft spot for the fruit because the pineapple is the symbol for hospitality- and I got my bachelor’s degree in hospitality business management. As well as the hospitality symbol, it’s a pretty darn delicious fruit. 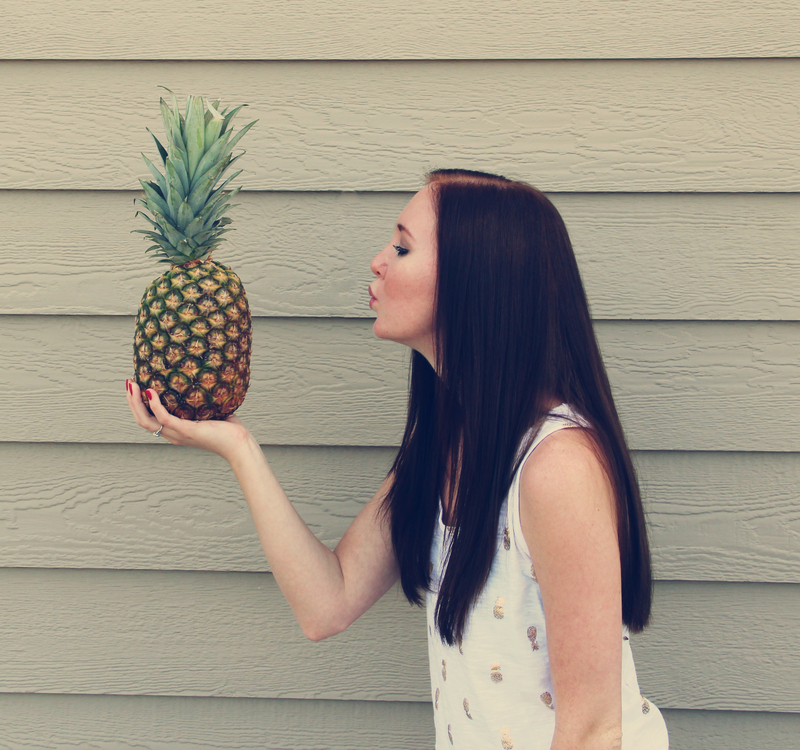 Tropical tasting, sweet, juicy, versatile… Yep, I love pineapple. 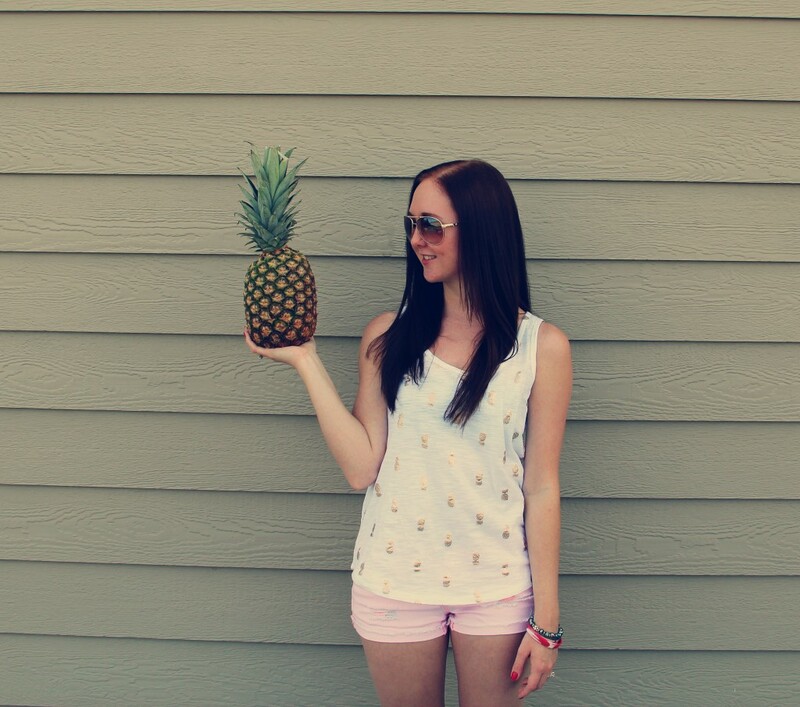 And I finally got this pineapple tank I’d been eyeing from Old Navy! My dear friend surprised me and sent it to me in the mail! 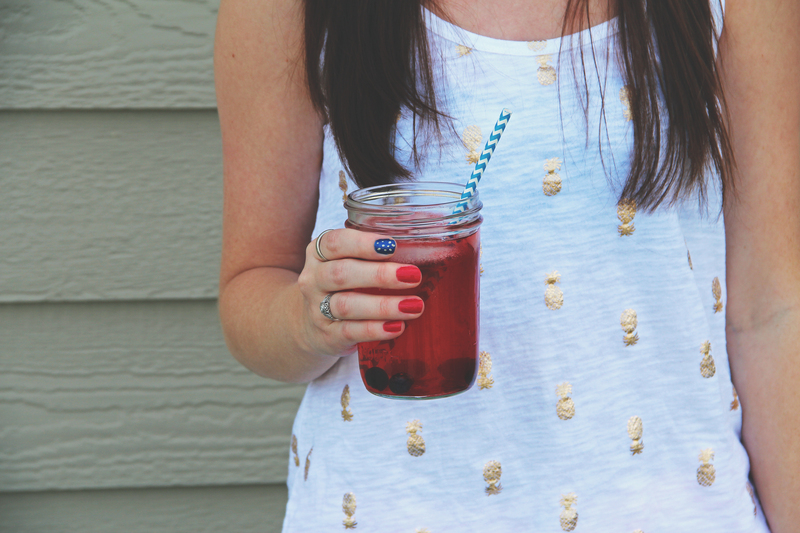 I love it so- probably my favorite summer tank right now. How do you guys feel about the pineapple trend? I hope you guys have a great Monday and a great start to your week!